Lush bath bombs are popular. We're talking seriously well-loved. How do we know? 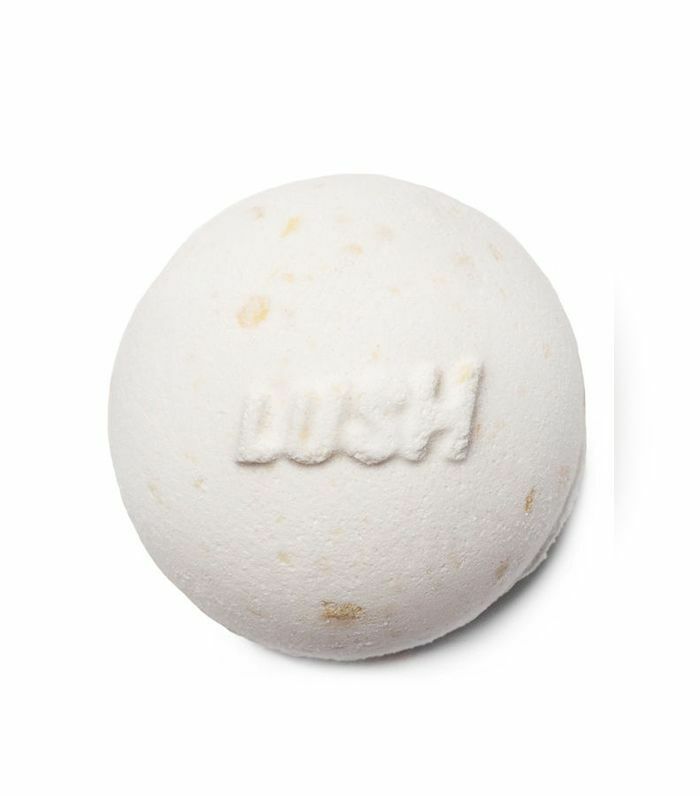 Well, at last count, Lush was selling 17 bath bombs every minute, and that's just in the UK. Impressive. So how did it all start? Well, Lush bath bombs are 29 years old, and they were actually created back in 1988 when Lush was a mail-order company called Cosmetics to Go. Co-founder Mo Constantine, OBE, invented these solid bath salts with mood-altering natural oils and skin-soothing butters as an alternative to the detergent-heavy products that were on the market at that time. The bath bombs that crackle, fizz and whirl around the tub, colouring the water as they go, have become a serious cult buy and something so utterly synonymous with the UK company. Lush bath bombs also have some pretty surprising celebrity fans. Kylie Jenner is a fan sharing snaps and Instastories of her bath bombs from time to time. Courtney Love, Leonardo Dicaprio, Julia Roberts and Johnny Depp are among the A-list fans. 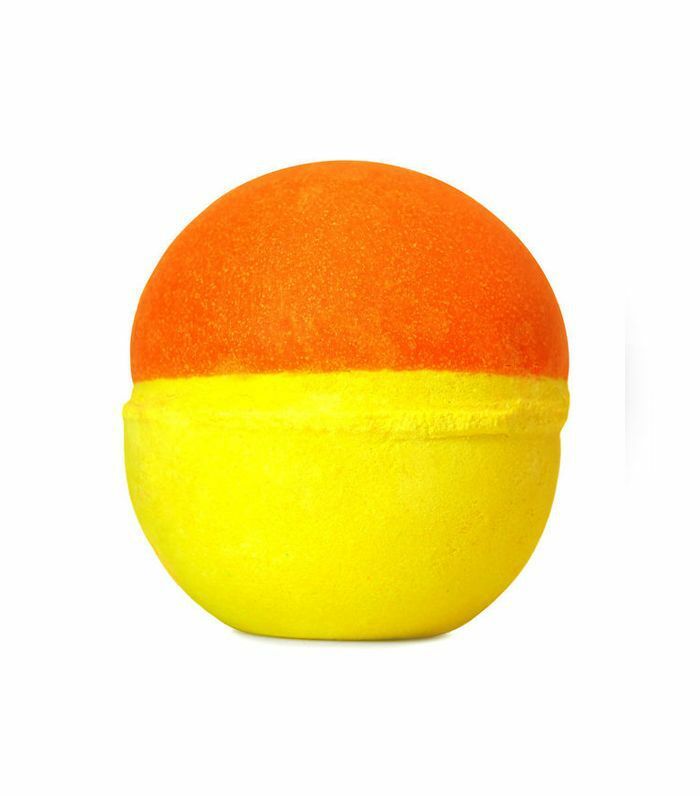 Now, if you think these heavily scented bath bombs are a bit much, know that queen of all things natural and good for you, Gwyneth Paltrow, is a fan, with her bath bomb of choice being the Butterball (which ranks at a respectable No. 9 on the top-10 list). 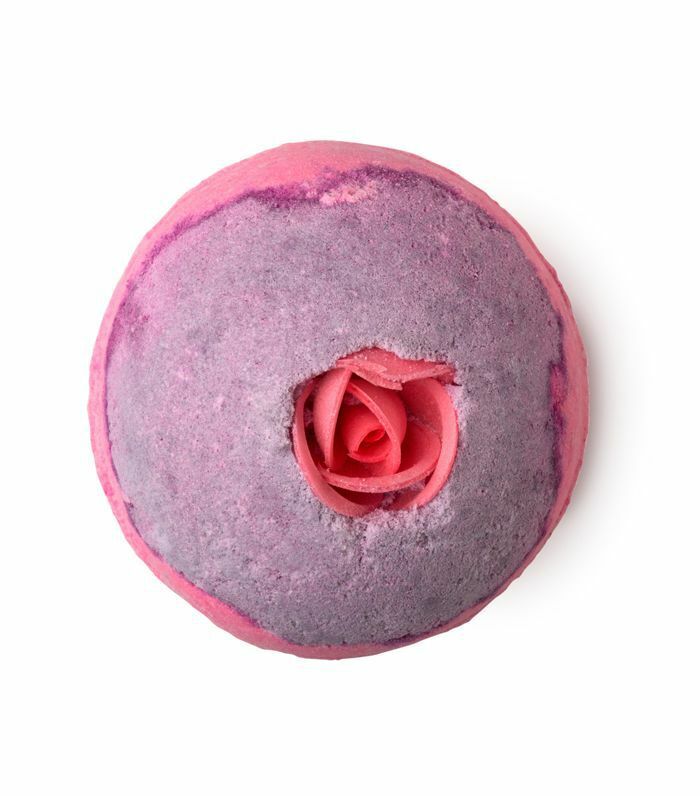 We called on Lush to share with us the top 10 best-selling bath bombs, which we've ranked from 10 to one in the gallery below. Keep scrolling to shop them now. 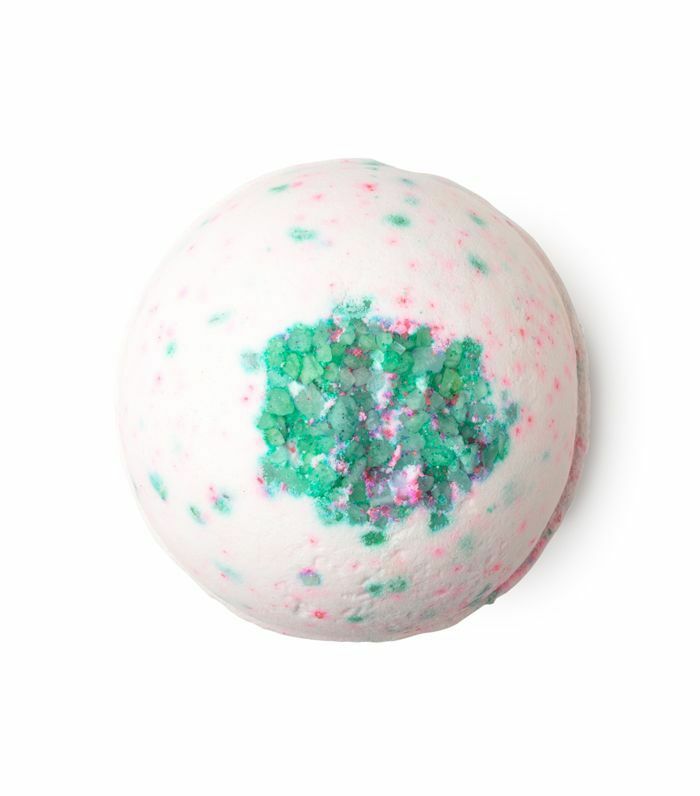 Packed with lemongrass and bergamot oils, this bath bomb turns the bath water a shimmering pink hue and tackles dry skin, thanks to the avocado and olive oils. Created for dry, sensitive or irritated skin, this buttery bath bomb is fused with cocoa butter pieces. Uplifting ylang-ylang oils, used in aromatherapy to treat stress and depression, relaxes the nervous system and helps relieves anger, panic and fear. Twilight is for anyone with trouble sleeping. It turns the water a deep shimmering purple and contains lavender essential oil to soothe and calm the body and mind. 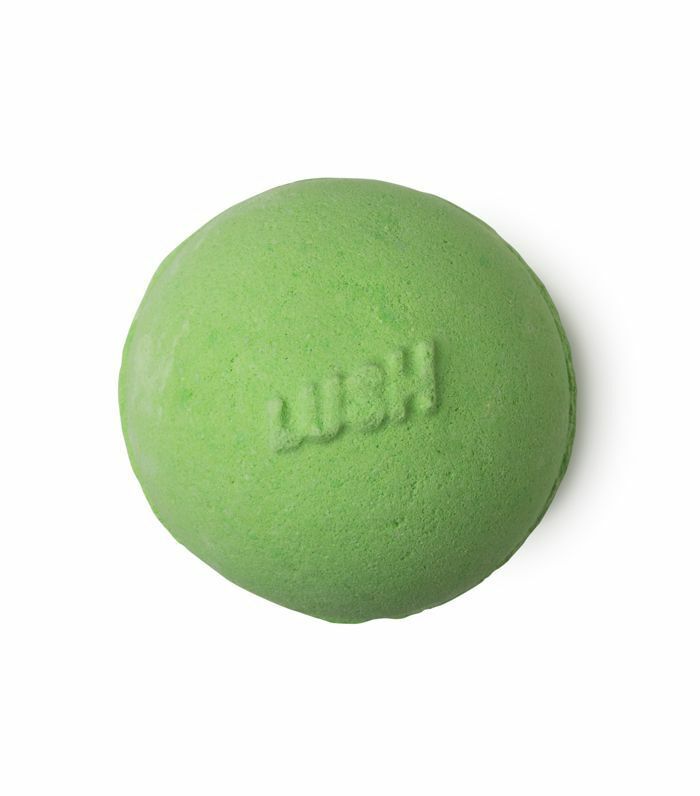 Lush's brightly coloured bath bomb is coated in cocoa butter and contains lime and fennel oil to perk you up. As it fizzes and rolls around the bath, it unfurls vibrant hues of pinks, oranges and golds. 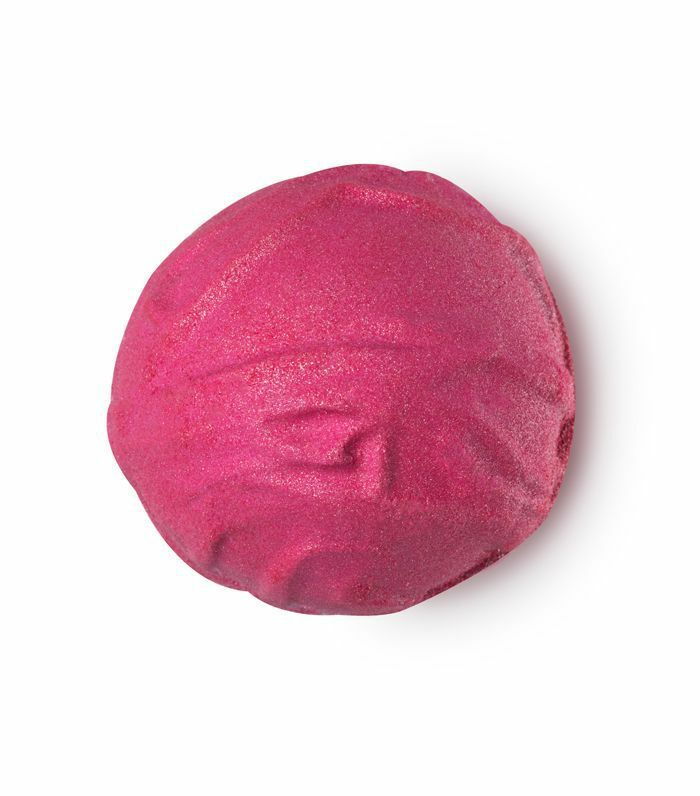 A sweetly scented bath bomb, this tints the bathwater a very on-trend pink. Corn flour softens the skin, while vanilla and top notes of caramel scent your bath and skin. 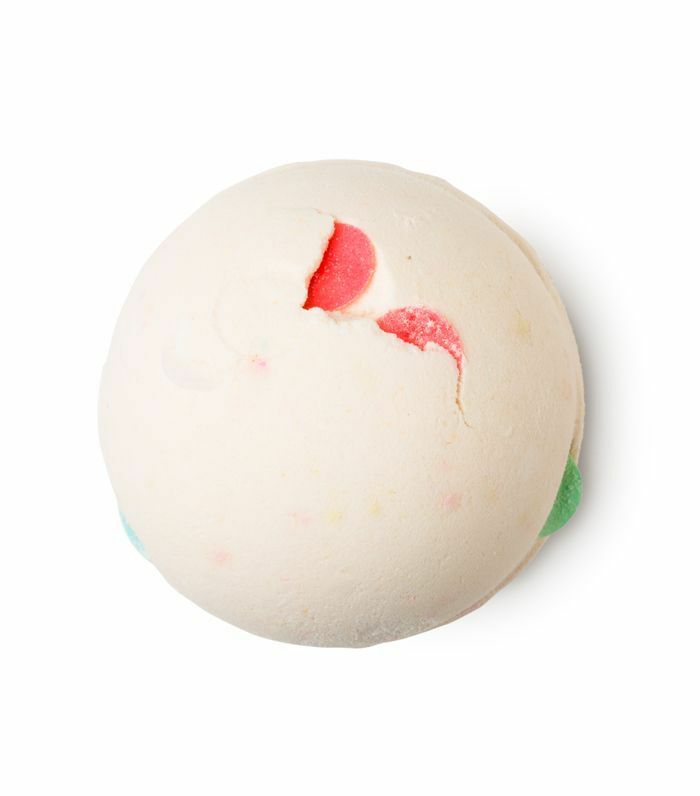 Containing jasmine, ylang-ylang and clary sage oils, this bath bomb helps to relax you. Jasmine is an ancient aphrodisiac that eases stress and anxiety. Clary sage clears the mind, while ylang-ylang is known for soothing worries. 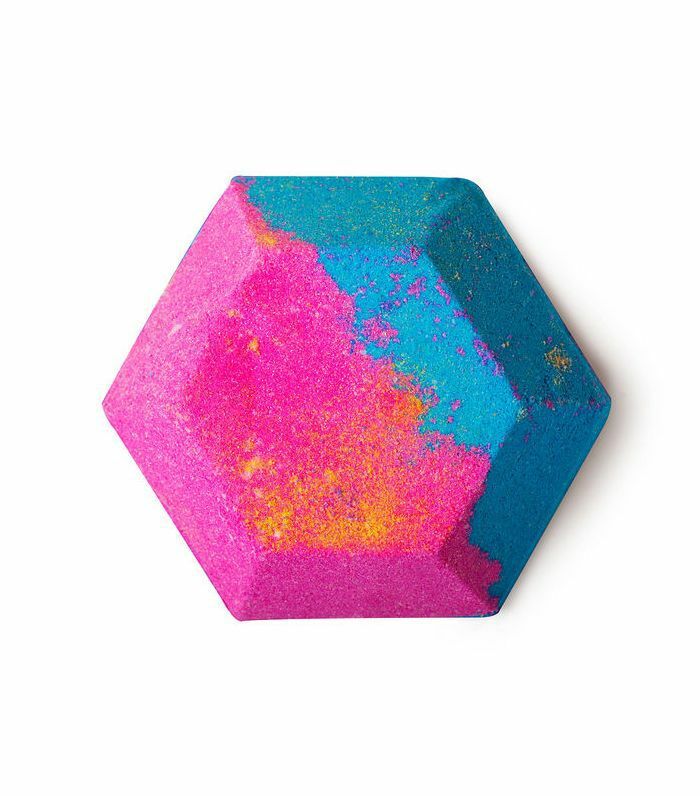 A rainbow-hued bath bomb packed with popping candy and sweet vanilla absolute, this puts on quite the show in your bath. With a scent reminiscent of lemon sherbet, with a hint of jasmine, this crackles and fizzes to turn the bath water a golden hue. It will leave you invigorated and ready for the day or evening ahead. 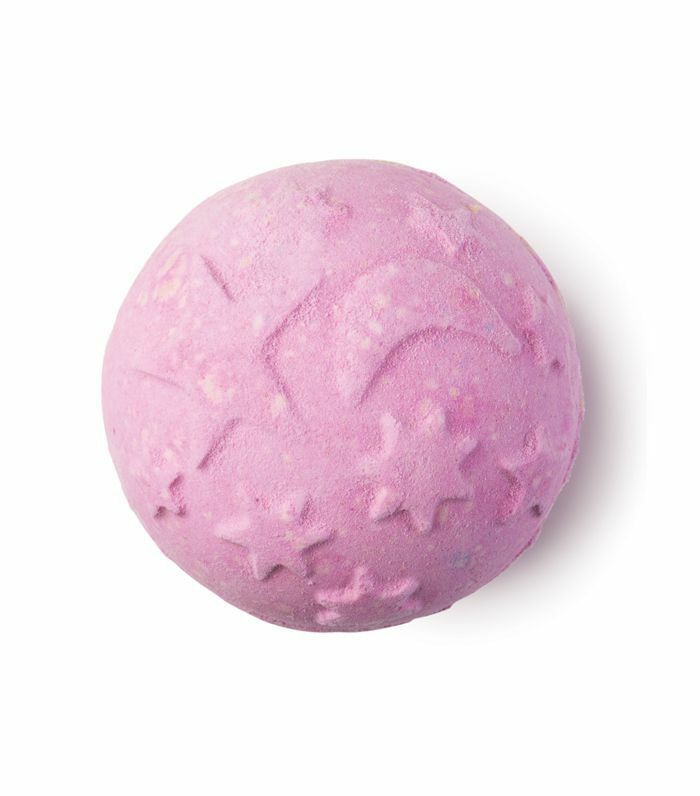 Inspired by the cherry blossom in Japan, this pretty bath bomb's scent was designed to evoke a burst of optimism. Calming mimosa and jasmine oils are mingled with lemon oil and orange flower. Next up, 15 amazing drugstore beauty launches to obsess over.